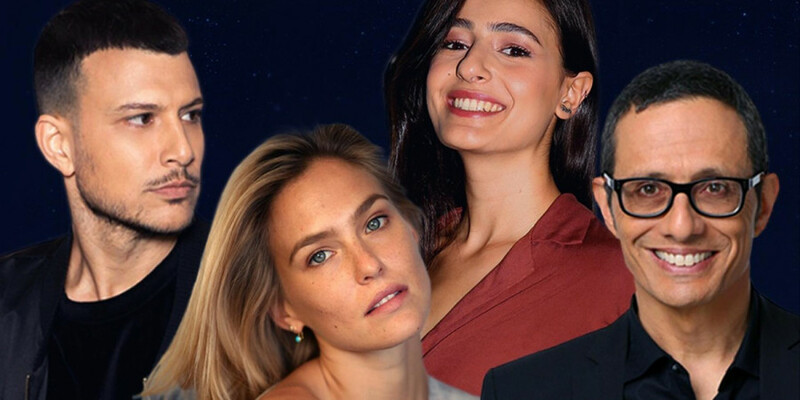 The Israeli supermodel Bar Refaeli and the Israeli TV hosts Erez Tal, Assi Azar & Lucy Ayoub will be the hosts of the upcoming Eurovision Song Contest 2019, scheduled to take place in Tel-Aviv. After 3 men hosted Kiev 2017 and 4 women hosted Lisbon 2018, Tel Aviv is presenting gender-equality representation with two women & two men. Bar Refaeli is considered one of Israel's most successful international supermodels, which appeared on the cover of "Sports Illustrated" 2009 issue and was selected as No.1 on MAXIM magazine "Hot 100" list. She hosted the Israeli edition of The X Factor in 2013. According to reports, she was in relationship with the American actor Leonardo DiCaprio between 2005 and 2009. Erez Tal, 57, is one of the most experienced TV & Radio hosts in Israel, including the Israeli edition of "Big Brother" reality show. Tal also acted as Israel's first Eurovision commentator, for the Eurovision Song Contest 2017 Grand Final, which aired last year on KAN's TV channel. Assi Azar, one of the hosts of the current Israeli national selection show for Eurovision ("The Next Star for Eurovision", Channel 12). Azar, which is considered one of the most famous gay TV host in Israel, also hosted in the past the Israeli edition of the reality show "Big Brother", together with Erez Tal. The last host is KAN's own Lucy Ayoub, Israeli-Arab songwriter and TV host, who presented the Israeli results on behalf of KAN, in Lisbon's Eurovision Song Contest 2018.